This melitzanosalata recipe is my dad’s recipe. He approves even with my little extra “touches”. Simplicity to the rescue yet again! I recently went overboard buying a huge amount of eggplant at the local market. With one batch I whipped up the Greek classic – “papoutsakia“. With the remainder I made this melitzanoslata recipe. And please don’t let that big unpronounceable word scare you. 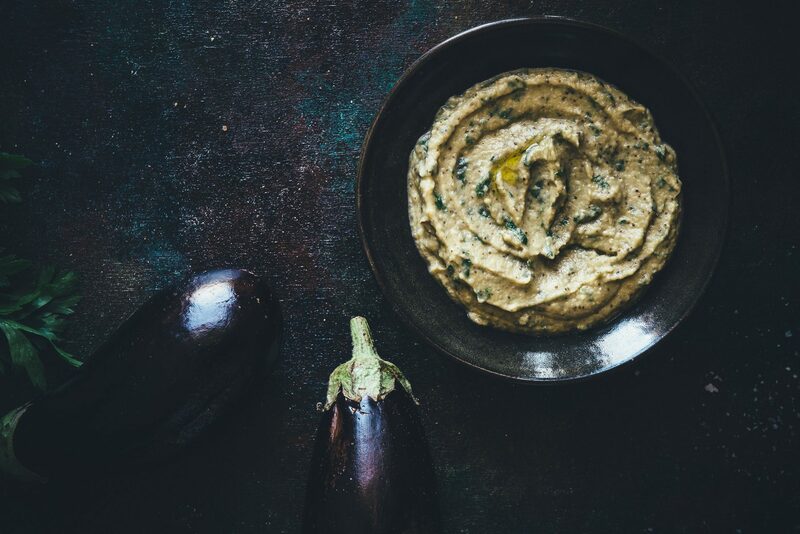 It’s the Greek version of an eggplant dip. I actually had to ring up my father to get the recipe and his directions were spot on. It really is very easy to prepare and if you’re in the midst of enjoying a Southern hemisphere summer- get onto it immediately! I will be straight up honest and say, that this dip was never a favourite of mine. Whenever we attended a Greek function here in Australia (in the 70’s and 80’s) melitzanosalata would always appear alongside tzatziki and tarama (the pinkish fish roe dip) as a starter dip. It was always the last to be eaten! Somehow everyone would gobble up the remainder of the dips and the egpplant dip would get left on the shelf! But I’m glad my older, more mature tastebuds rediscovered it. I don’t think I could live without eggplant in my diet! The only addition I made to this dip was add some parsley. Somehow I think the green gives it an extra bit of oomph! I invite you to grab some fresh bread and dig in. And don’t be afraid of the garlic in this either! My father insisted there had to be at least 5 cloves!!! I hope you enjoy this. I’m currently working on a batch of new recipes (including some Sicilian eggplant ones). Also, look out for a very big project I’m going to be involved with in the next month. Melitzanosalata is Greece's answer to the eggplant dip. Slightly smoky and bursting with lots of garlic flavour consider making this as part of your next meal. Preheat your oven to 180 deg C and line a tray with baking paper. Place your eggplants on the tray and cook for 1 hour. Once the eggplants are cooked allow them to cool for half an hour. Very gent;y remove the skin and place the flesh in a colander to drain for another half an hour. Place the eggplant, garlic, breadcrumbs, ⅓ cup olive oil, salt, pepper and parsley in a food processor and whizz until smooth. 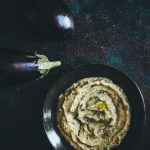 Taste the eggplant dip and adjust with extra oil, vinegar or seasoning as needed.